The debut of Final Fantasy IV on Nintendo’s sophomore home console in 1991 provided far more than just a graphical update to their familiar gameplay; it marked a significant turning point. Suddenly, complex, dynamic protagonists became the standard, and artists began putting more care and attention into their storylines. Before this point, the idea of a video game having such an intricate plot was largely unheard of, and its success both domestically and overseas under the name Final Fantasy II proved how important a strong writing staff could be for the medium’s growth. This success prompted Hironobu Sakaguchi and the rest of Squaresoft to create a sequel. 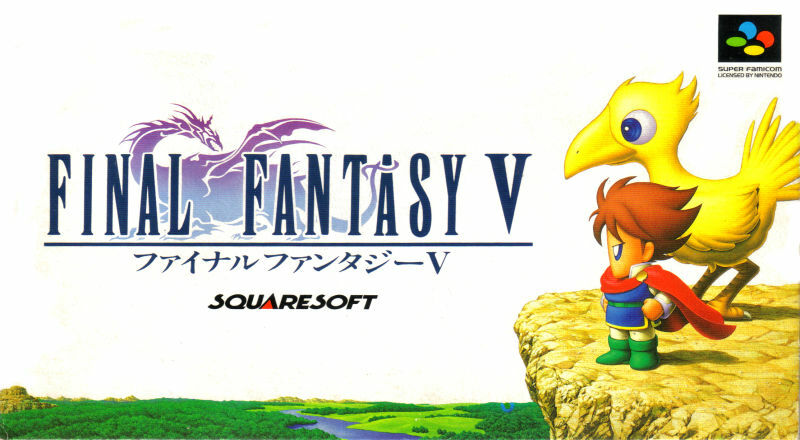 Developed over the course of a single year, Final Fantasy V debuted in Japan in 1992. Unfortunately, the series’ newfound North American audience didn’t get a chance to play it on the SNES. Plans for localization were made shortly after its Japanese release, and it was to be named Final Fantasy III, owing to the real second and third installments having been passed up for localization. The plans shifted slightly when Square announced that because of its different tone and increased difficulty, it was to be released as a standalone game with a title yet to be determined, but they were ultimately scrapped. Square translator Ted Woolsey claimed in a 1994 interview that “[Final Fantasy V is] just not accessible enough to the average gamer”. Rumors then circulated that Final Fantasy V was to see a Western release under the tentative title Final Fantasy Extreme, but these plans fell through as well. A third attempt was made in 1997 to localize the game for Microsoft Windows-based personal computers by a studio named Top Dog. Though they made significant progress, numerous communication problems between the two entities sounded the project’s death knell. Later that year, a temporary solution appeared. A group of people under the internet alias RPGe released a patch for the game’s ROM image, translating it into English. It was a notable achievement for being one of the first completed fan translations in history. Finally, in 1999, Square found their opportunity to bring Final Fantasy V to Western audiences in the form of the Final Fantasy Anthology compilation for the PlayStation. By this time, the franchise had broken into the mainstream with its universally lauded seventh installment, and any lingering doubts about the theoretical reception of Final Fantasy V were assuaged. Was this game worth a seven-year wait? 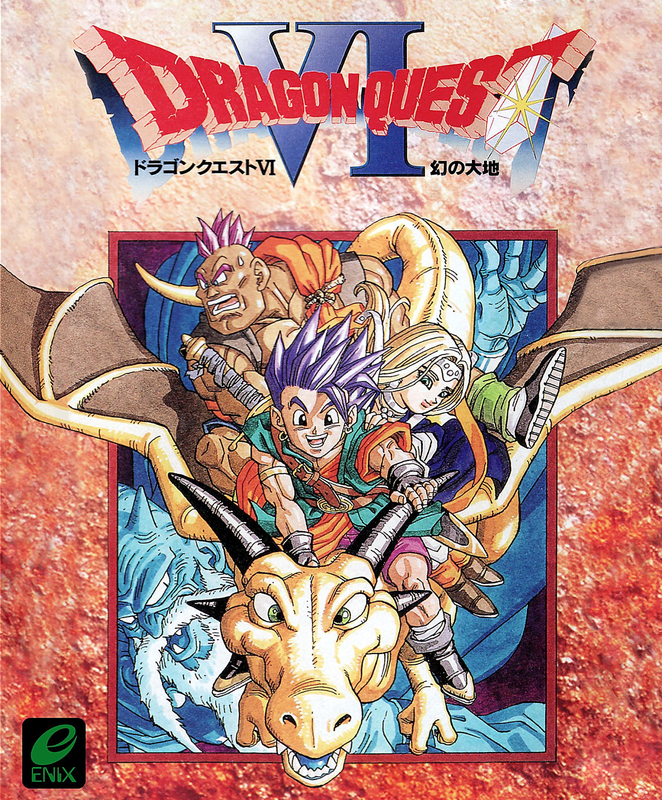 Dragon Quest V was released in 1992, marking the debut of the popular series on Nintendo’s 16-bit Super Famicom console. Though its presentation arguably paled in comparison to that of Final Fantasy IV released a year earlier, it nonetheless continued the success of Yuji Horii and his staff at Chunsoft by selling millions of copies just like its four predecessors. It has since been declared by fans and Mr. Horii himself to be the series’ pinnacle due to its unique, forward-looking storytelling and novel monster recruitment mechanic. The latter would go on to revolutionize the industry over the next few years when several creators provided their own take on the concept. As Chunsoft went on to develop a spinoff series known as Mystery Dungeon, the first installment of which cast a supporting character from Dragon Quest IV in the lead role, Mr. Horii joined a new company known as Heartbeat. Their first product was to be the sixth installment in the Dragon Quest series. 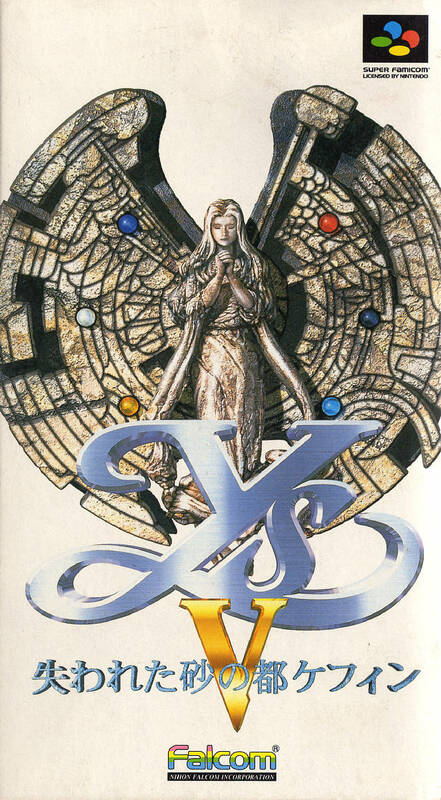 Production of this game, entitled Dragon Quest VI: The Illusionary Land, proved to be rather troubled, and its initial release was delayed numerous times. The game was at last formally revealed in 1995 at the trade show Shoshinkai before being released a few weeks later. Owing to the large cartridge ROM used in this installment’s creation, Dragon Quest VI ended up selling for a steep price of 11,970 yen. In no way, shape, or form did this deter the dedicated fanbase, as the game went on to sell over three million copies. Nintendo Power magazine once insinuated that the game was slated for a Western release in 1996 under the name Dragon Warrior V. However, much like its direct predecessor, it was not to be. The series’ lack of success outside of its native homeland, the fact that accurately translating text in a cartridge ROM already at its maximum storage limit into English was an impossible task, and Enix ceasing activities in North America all meant such an undertaking would almost certainly be unprofitable and therefore not worth the risk. Did their admittedly understandable business decision doom another classic to fall into obscurity in the Western world? Yuji Horii’s Dragon Quest series saw four of its installments released on Nintendo’s 8-bit console, the NES (Famicom in Japan). 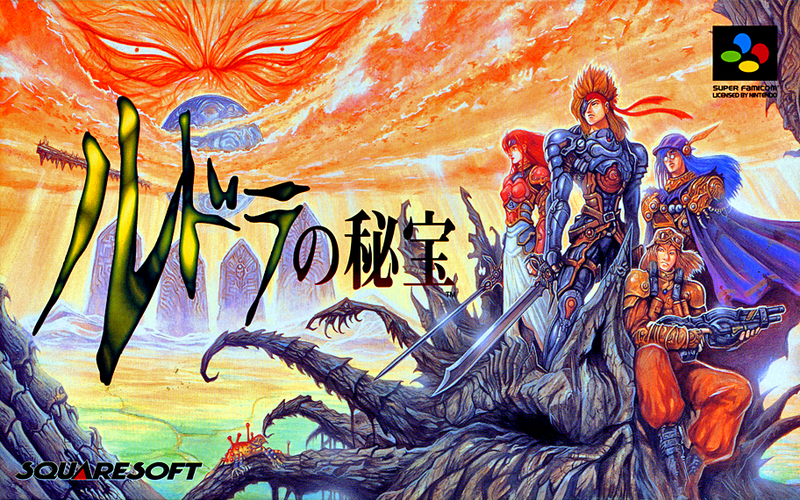 The franchise’s popularity was immense in its native homeland, with the third title in particular codifying the Japanese role-playing game (JRPG) in the public eye. Taking note of the millions of copies sold in Japan, Nintendo and Enix put forth an impressive effort to translate each game in the hope of replicating that success in the West. Unfortunately, as there already existed a thriving RPG scene in the Western world long before Dragon Quest was even an idea, it was doomed to fall into obscurity. The year 1990 marked the release of the Super Famicom, the 16-bit successor to Nintendo’s bestselling console. As fan demand for a sequel on this new platform was high, it naturally didn’t take long for Mr. Horii and the rest of Chunsoft to begin working on one. This project was completed in 1992, and continued the series’ stellar track record by selling nearly three million copies. Taking a look at the poor sales figures of the previous four entries in the United States and taking note of the high costs associated with the larger cartridge ROMs needed to fit an English translation, Enix judged such an investment would not have been profitable, thus it wasn’t localized. In the late nineties, JRPG fans decided to provide their own translation via emulation, but for the longest time, it seemed as though it would never see an official Western release. 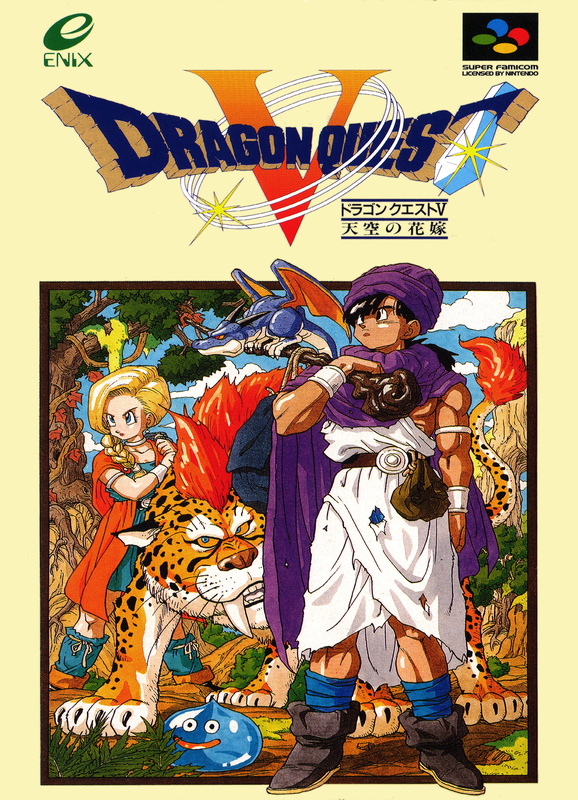 Although it would eventually see the light of day outside of Japan, that it never made its way onto the Super NES is a bit of a shame because Mr. Horii has pointed to Dragon Quest V and declared it his favorite installment – a sentiment commonly echoed by its fans. It’s clear this game left an indelible impact on those who experienced it. What is it about Dragon Quest V that allows it to enjoy such a following – one which includes the author himself? 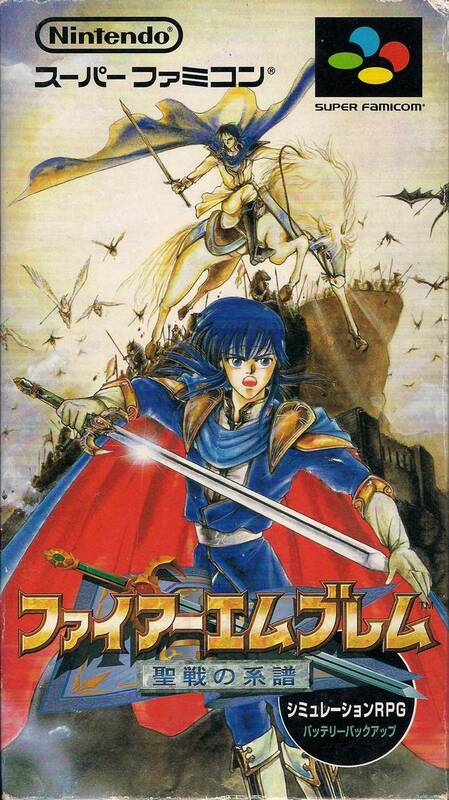 Fire Emblem: Genealogy of the Holy War was released in 1996 for the Super Famicom, the Japanese counterpart to the SNES. It is the fourth entry in the Fire Emblem series created by Intelligent Systems, one of Nintendo’s second-party developers. 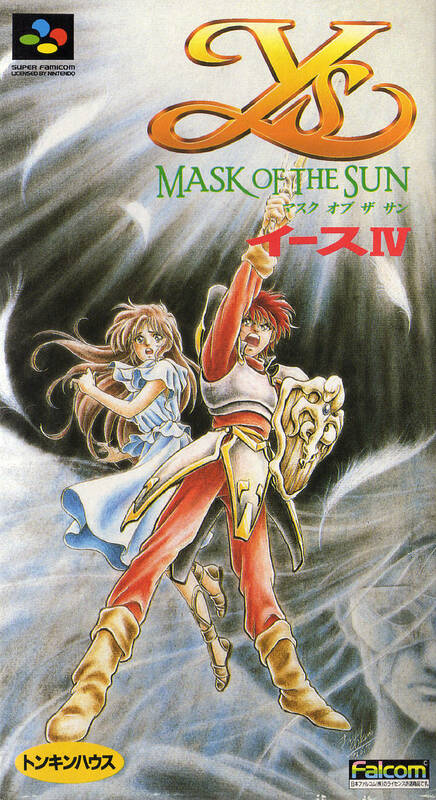 Genealogy and its infamously difficult midquel, Thracia 776, would wind up being the last entries developed by the series’ original creator, Shouzou Kaga. The Fire Emblem series was never localized outside of Japan outside of a two-episode OVA, which was localized in 1997, a year after its domestic release. In 2001, Super Smash Bros. Melee, a fighting game featuring various Nintendo characters, included two characters from the Fire Emblem series: Marth and Roy. The former was the protagonist of the very first game in the series, Shadow Dragon and the Blade of Light, while the latter was included to promote the then-upcoming installment, The Binding Blade. This was a major catalyst for the series finally getting a worldwide release in 2003 and 2004 with its seventh entry, simply localized as Fire Emblem (called by its Japanese name, Blazing Sword, by fans to differentiate it from other entries in the series). Because Genealogy was released seven years before Blazing Sword, not that many people outside of Japan have played it. However, despite the lack of an official localization, many Fire Emblem fans outside of Japan have often expressed that this game is the pinnacle of the series.